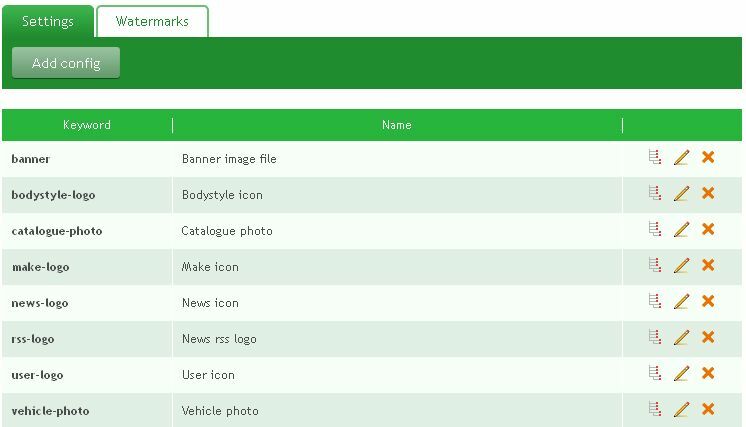 “Settings” tab shows what kind of uploads are available: banners and various logotypes (vehicle, bodystyle, catalogue, make, user, news and rss). Click “Structure” icon to edit an icon size. This is a list of sizes available for user logotype. Click “Edit” to edit properties. 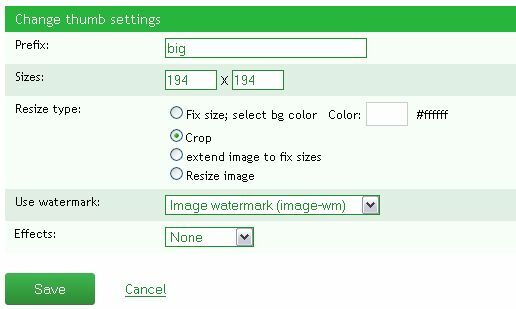 You can change size (width and height), choose resize type, enable watermark and effects. Resize image – image is resized proportionally as in point 1, however no colour is used as filler. The resulting image is of a non-standard size. Here are watermark settings. 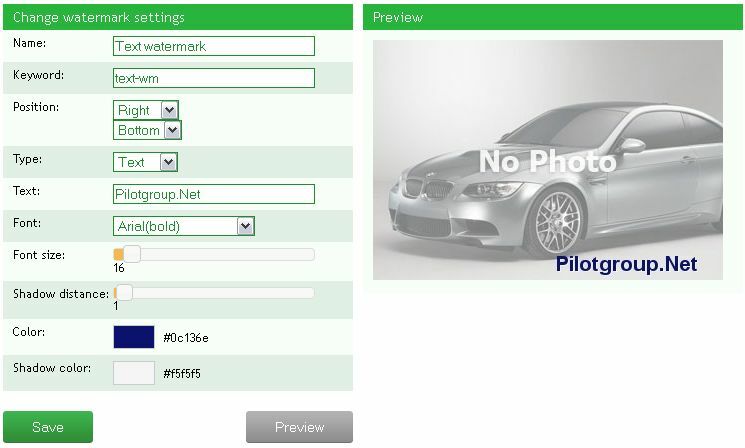 You can create text or image watermark. Press “Add watermark”. Below is an image watermark. You can edit image position, upload image and edit its opacity. Text image – fill in watermark text, choose font type, color, size, shadow distance and color.